Ocean science is one of my favorite science topics to teach! It incorporates the sights and sounds of the beach which makes me calm and happy! It also fascinates students and gives us many opportunities to hear gasps and excitement about learning! 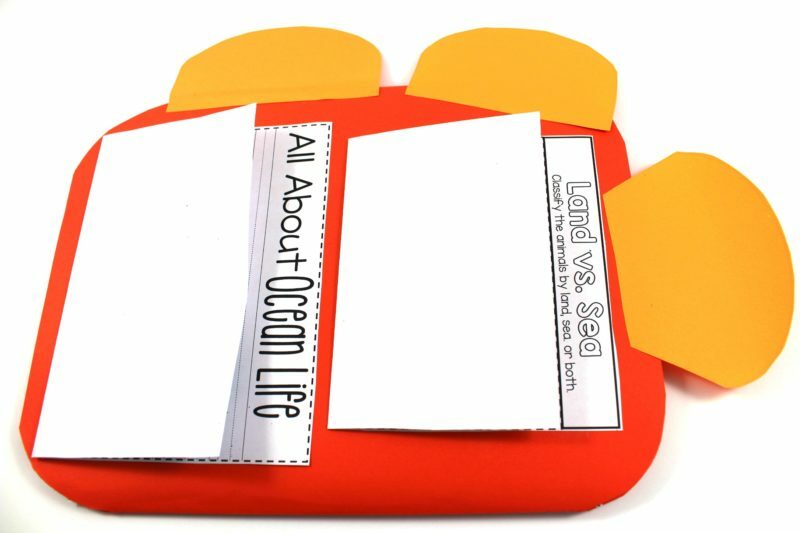 Ocean science also allows us to cover science standards like adaptations, habitats, life cycles, how things move, classifying animals, parents and their young, understanding our world, and the list goes on! 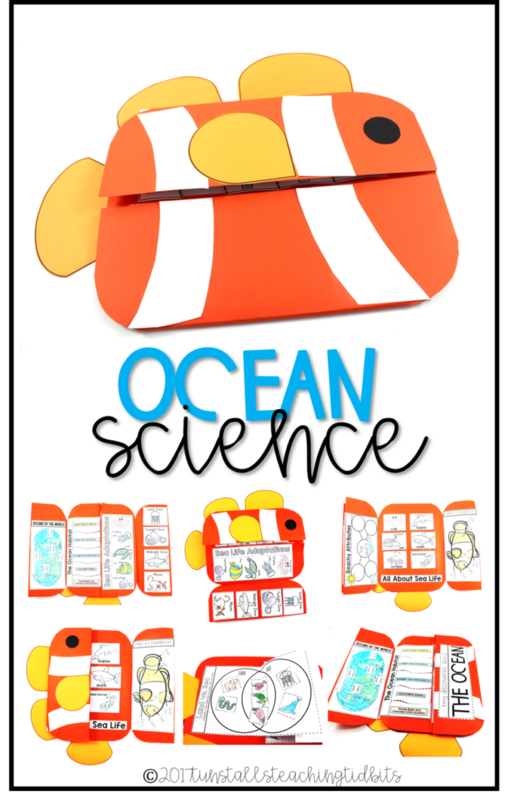 The latest three dimensional activity book in my interactive science series is ocean science! But before we get to that, here’s some resources to help build up your ocean science classroom! 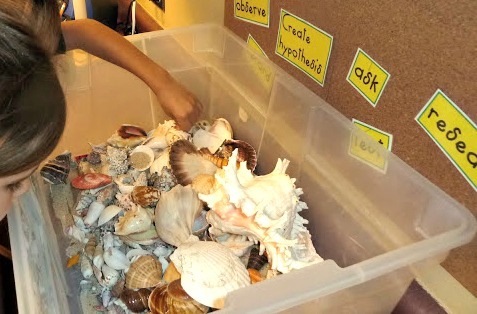 First, I bring in my shell collection in the form of a “beach box”. To make a beach box, take a large tub and add sand to the bottom. (home depot has bags of it if you don’t have sand at your fingertips) Next, put in a variety of shells. Large, pointy, smooth, think about textures and sizes. I love purchasing variety bags of shells when we visit the beach. Amazon has shells too! You can get a great little variety. Here’s my affiliate link to the shells on amazon. 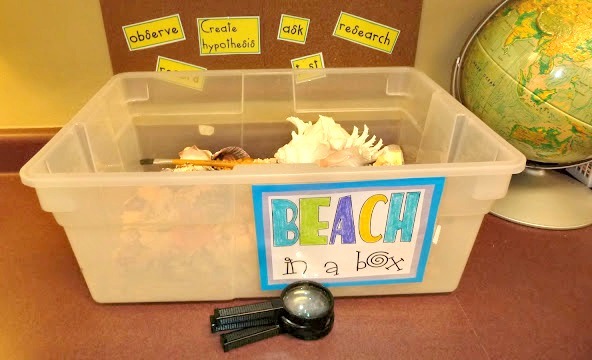 I also add paintbrushes and magnifying glasses to our beach box. I introduce them as tools to help students observe the shells. 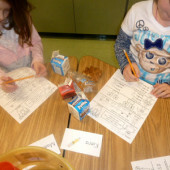 Students will naturally classify shapes when they visit the beach box. 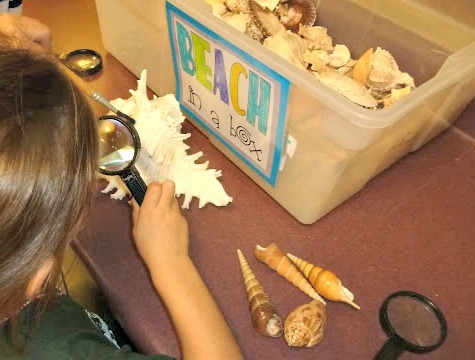 It is a wonderful way to build excitement and enrich the learning experience of ocean science. Of course we can’t forget about bringing in books to add to our studies! 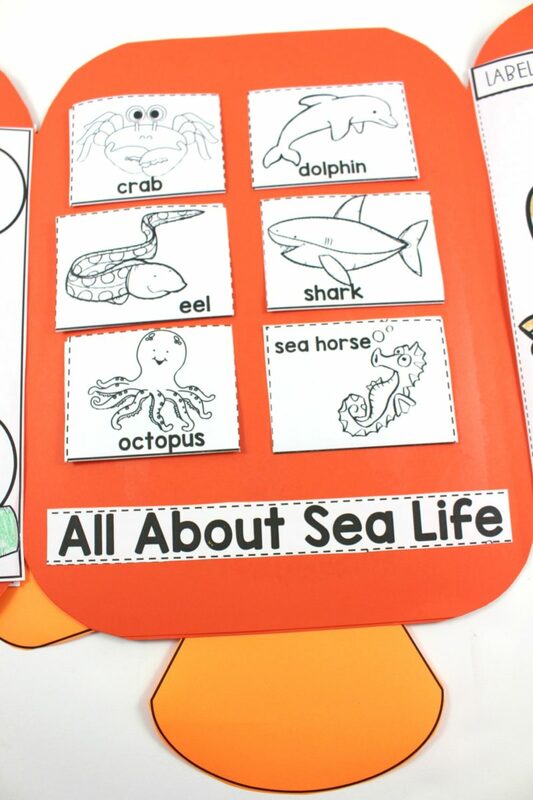 I like to visit the school library and get simple non-fiction books on different sea animals. I also love to incorporate fiction ocean stories too! 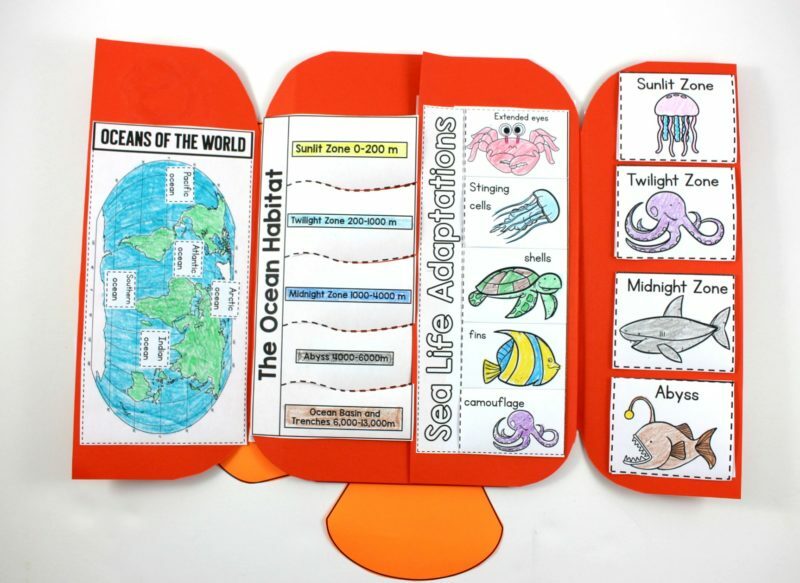 Students begin to filter the fun stories through their new knowledge and it is a great way to bring up discussions about why an author chose to have certain traits for ocean animal characters. 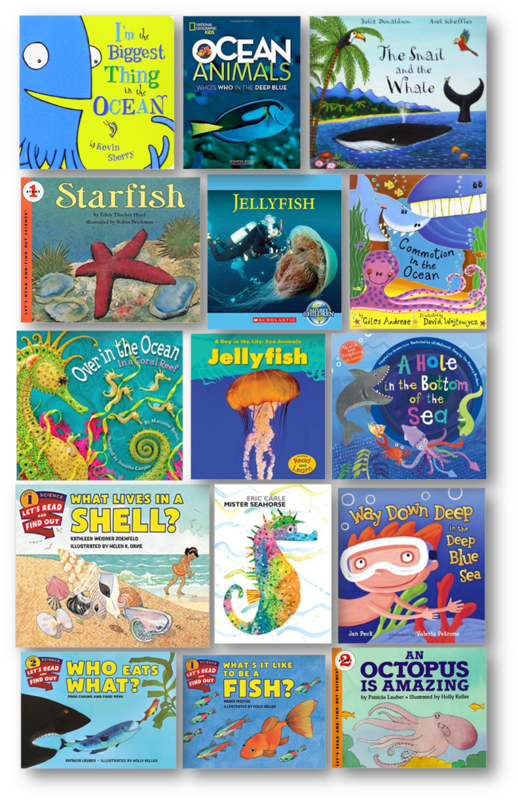 To find these books, you can click my amazon affiliate link for ocean books. One tip is to choose a book and then scroll down to the recommended titles. I find I get the best variety of options that way. Here’s a line-up of a few ocean videos out there to enhance the learning. I particularly look for those that incorporate underwater video footage. I love the tiny virtual field trip that these fun little videos can take us on! These are from you tube, so you may want to figure out settings that eliminate ads and pop-ups. The content is good! It’s time to hit those standards through activities and lessons with our students! 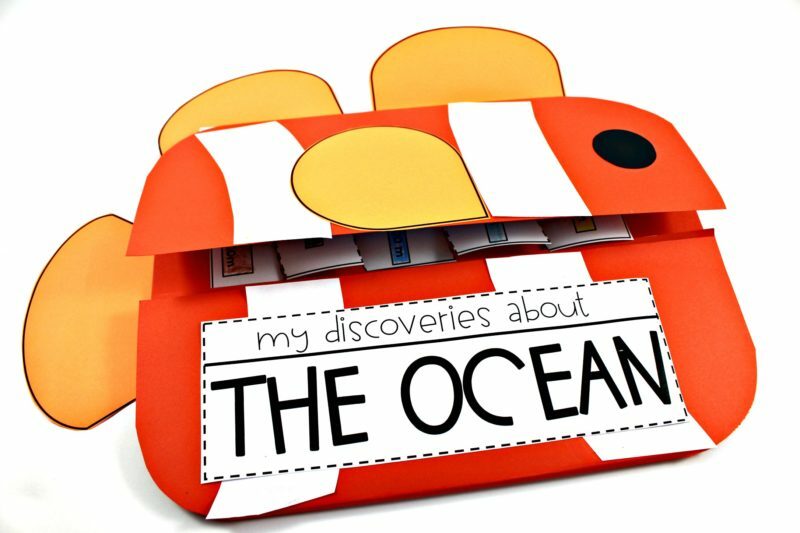 I created a clownfish three dimensional ocean activity book to hold ten different lessons on ocean science! 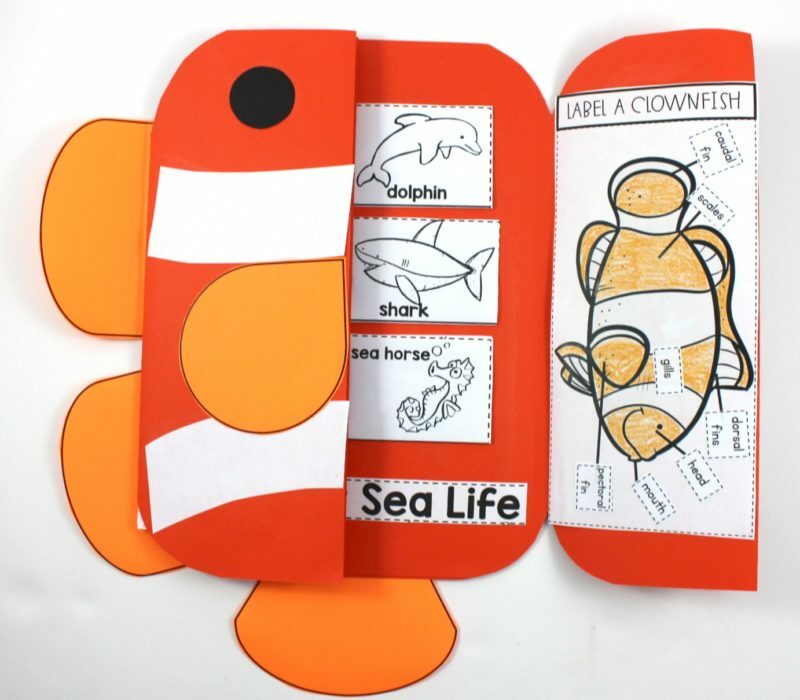 When I teach these, I create just the folding part of the book, so the darker orange part. It takes two sheets of 12X18 construction paper to make the books. 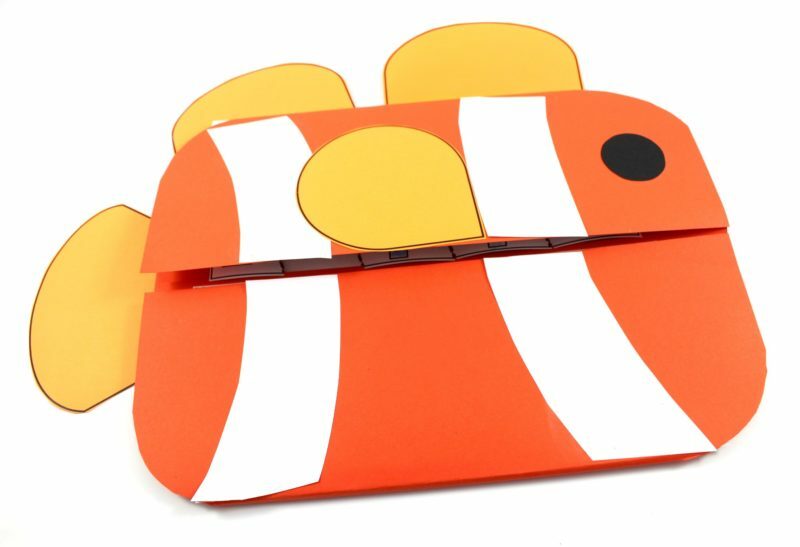 (Directions in the download) The students don’t get to create the fish craft pieces until the end of our learning. This is because the fins and flippers get torn up or lost during the week to two weeks it takes to create the lessons inside. It doesn’t matter where you decide to put the activities, but the way I teach these, is using about 30-45 mins in our day including a read aloud, video, or any research we are doing together as a class. We will do one of the lessons per day over a period of one week to two weeks. 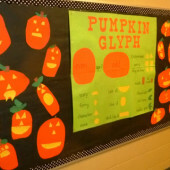 The students are the ones writing, cutting, coloring, and gluing it into their orange books. Students love map skills at this age! Using the oceans video above, we color and label the earth with the five oceans. 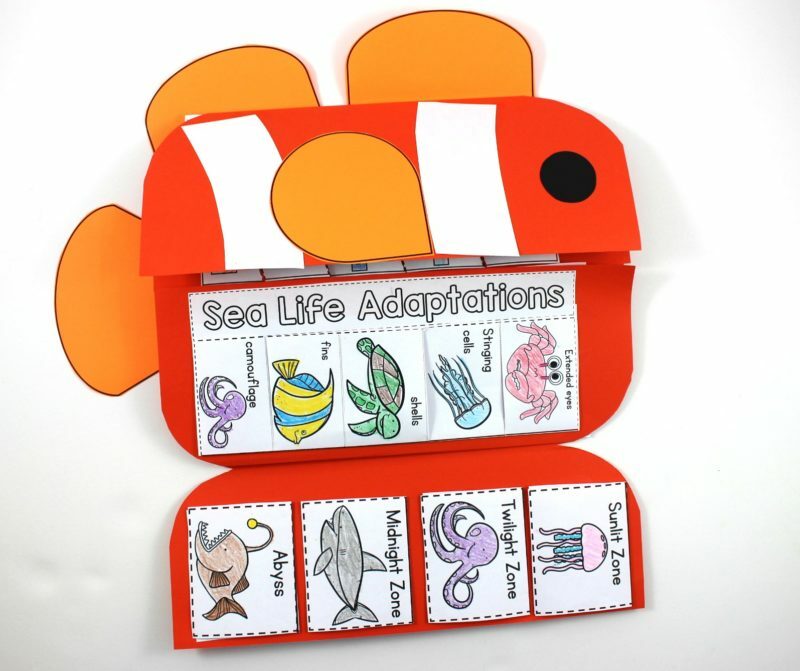 Then within each ocean we choose a fish to be the representative of the ocean zone or habitat. Students place that fish under each habitat as we learn about them. This is where those little ocean animal books from the library can come in really handy. 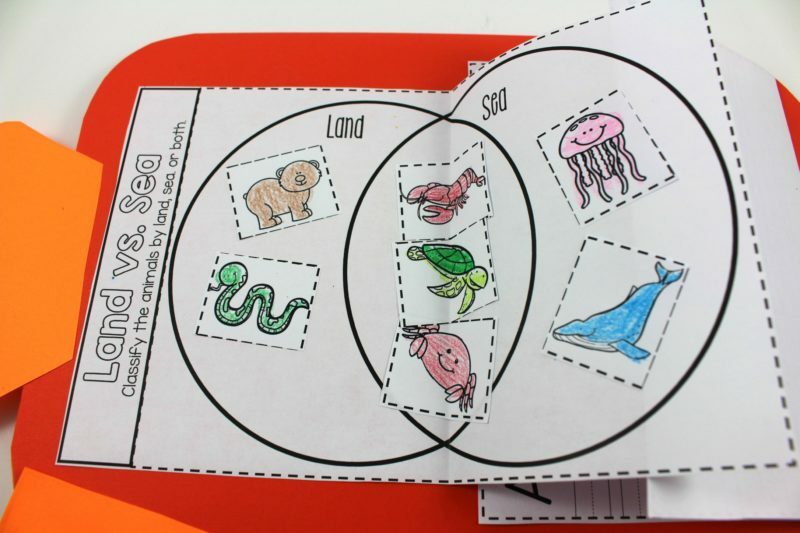 Have a group of students report facts about one sea animal to share out to the class. 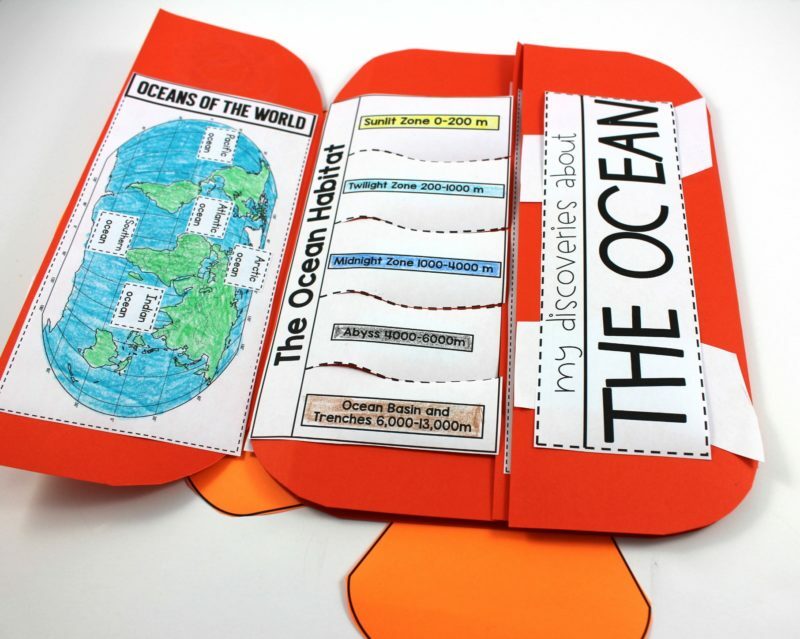 Or make stations where students can travel and discover facts to write under the flaps. 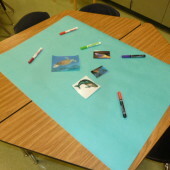 On the back of the fish, there is a writing activity where students can share their findings through written word just as a scientist does in real life. There is a mixture of activities to cover many different standards. I like to have some of the easier activities become independent stations during other times of our day if I can fit it in. Like with anything, you can choose to do all ten activities, or pick and choose the ones that best fit your needs. 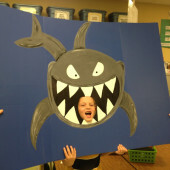 One of our favorite lessons is on adaptations of the sea. 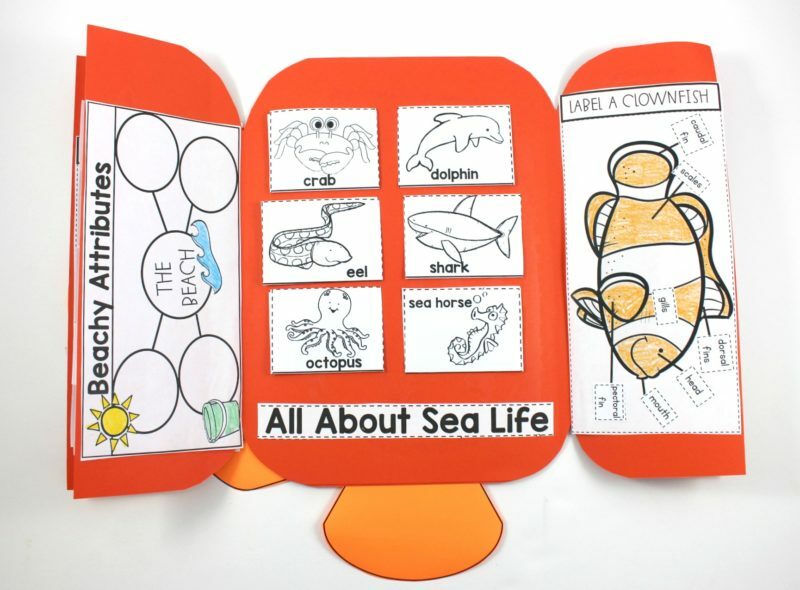 Once we learn about why sea animals have certain features and how it helps to protect them or to make their lives easier, students begin to discover more and more adaptations as they look at books and videos. 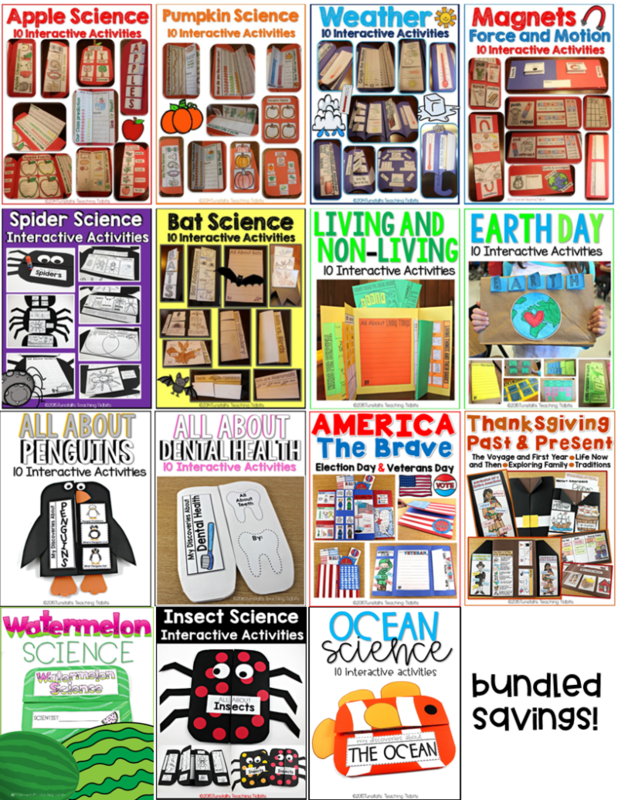 If you want to incorporate the series of three dimensional science books throughout the school year, you can find all 15 of them in one download. You can find each book separately if you would rather pick and choose.